Do you have a deep voice? Learning how to sing as a Baritone comes with unique challenges that singers with higher voice types might not face. While this isn’t a problem in itself, it unfortunately creates many vocal methods that are without consideration to your unique needs and issues as a singer. You wouldn’t take lessons with an driving instructor in an automatic car if you intend to drive manual/stick, right? The same goes for learning how to sing as a baritone. 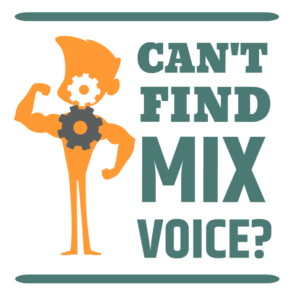 If you’re finding it hard to learn how to sing, or you’ve tried courses and lessons before without much progress, it’s likely you’re using the wrong instruction manual for your voice, and what you really need is Baritone singing Lessons with an experienced voice coach who not only understands your unique voice type, but IS a baritone as well. Welcome to Bohemian Vocal Studio! Hi, I’m Kegan – I too struggled to learn how to sing care of my naturally low voice. I bought books, courses, CD’s and took lessons with some of the most well respected singing teachers out there (well, at least the ones I could afford at the time! 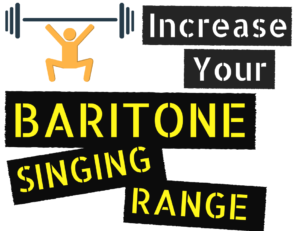 ), and saw very little progress in my singing, until I became so frustrated with the process that I considered giving up – until I developed this simple and effective process for teaching anyone to sing better, yes, even Baritone singers like you and me! 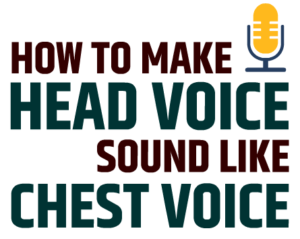 Identifying these issues has allowed me to develop an approach specifically designed to help you balance and coordinate each aspect of the voice, from vocal onsets right through to connecting chest and head voice. This approach is perfect for Baritone singers and has been designed with over 20 years of singing experience and a decade of coaching expertise under my belt. A great place to start is the free Baritone Singing Lesson which will share with you the unique and simple process that is helping Baritone singers like you all around the world learn how to turn their limited Baritone voice into an extensive, expressive and impressively powerful vocal range. The Foundation, Growth and Balance approach to singing has absolutely changed my life and changed my voice – I can’t wait to see how it’s going to change yours too! If you have any questions about baritone Singing Lessons or learning how to sing, feel free to leave any feedback or questions below! how to increase vocal range in three easy steps!